Decking is re-graded before treating to ensure and maintain quality control standards. High grade appearance of pine weathers better than spruce decking. Balusters are 1-1/2″ eased edge superior grade KD Lodgepole Pine. 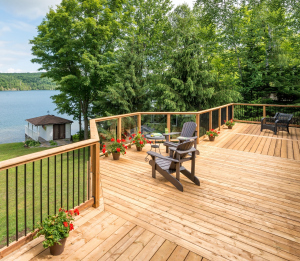 Click here for a list of Ultimate Deck products, lengths and lift sizes.